This week, we return to our series about the native trees of the Chicago area by focusing on a very common and recognizable type of tree, the maple. 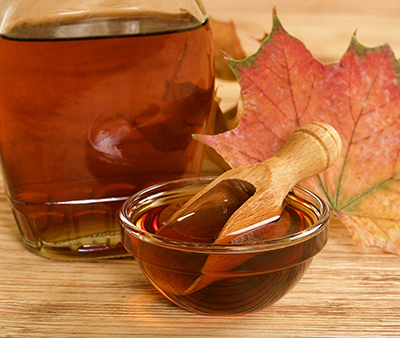 Maple trees are easily recognized by their lobed leaves and their samaras that contain their seeds, commonly known as “helicopters.” They are planted primarily as ornamental trees on residential and commercial properties because they are easy to transplant, grow rather quickly, and have brilliant fall colors. There are 128 known species of maple trees (Acer sp. ), most of which can be found in Asia, as well as Europe, Africa, and North America in the Northern Hemisphere. Several different types of maples are native to the Chicago area. The different species of maple trees are mostly deciduous plants that typically show green three, five, or seven lobed leaves in the spring and summer that turn all shades of red, yellow and orange in the fall. 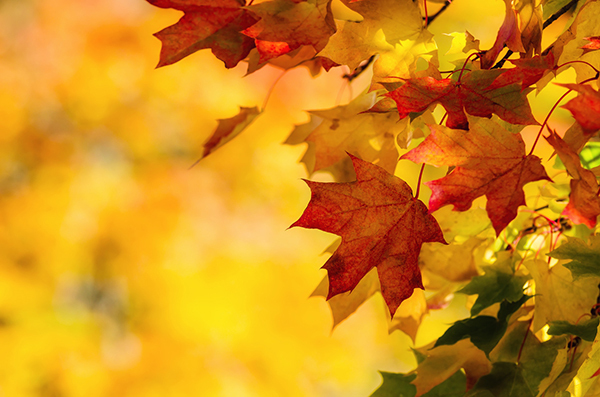 Maple trees are sturdy, adaptable plants that typically grow between 40 and 60 feet tall. Their height as well as their dense and expansive root systems require plenty of space to grow without affecting surrounding plants. There are also thousands of maple cultivars that have been cultivated through selective breeding to have some of the maple’s most desirable characteristics. In this guide, we will take an in-depth look into the characteristics of native maple tree species, discuss the most common threats to maple trees, and highlight some effective maple tree care tips. 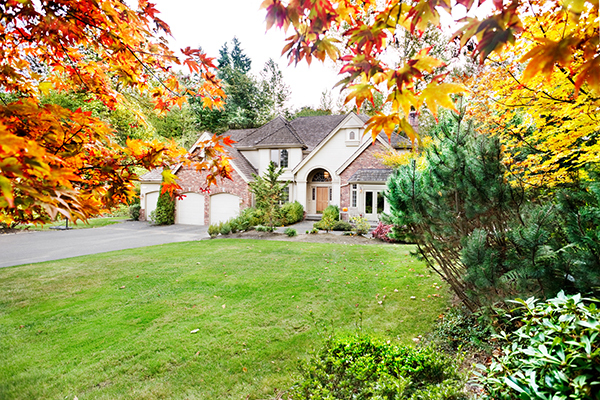 Many homes and commercial properties throughout Chicago and its suburbs feature maple trees, and like other types of trees, maples need the proper care to live a long, healthy life. At Hendricksen Tree Care, we can help take care of all types of maples trees throughout the Chicago area with our tree care services. Our professional arborists are trained and equipped to provide maple tree pruning, fertilization, and treatment services to help keep your maple trees strong and healthy. 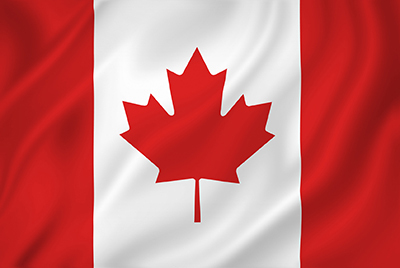 When most people think of maple trees, the first image that comes to mind is that of the maple leaf, like the leaf on the Canadian flag. The lobed leaves of the maple are so recognizable that they have become known as a symbol of strength and endurance. 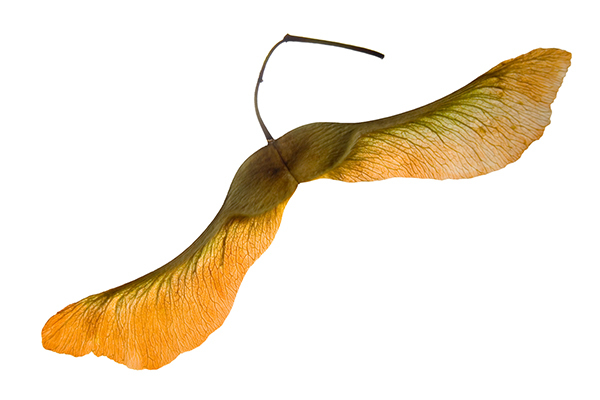 The leaves are not the only identifiable characteristic of maples trees as their “helicopter” seeds and vibrant fall colors are also easy to recognize. Height: Most species of maple grow to be between 40 and 60 feet tall with a width of between 20 and 40 feet. Leaves: Most maple tree species have three, five, or seven lobed leaves with well-defined veins. Maples leaves grow in an opposite arrangement and they are typically dull green in color before turning red, orange or yellow in the fall. Flowers: Maple tree flowers grow in small clusters at the ends of the branches and they usually bloom in late winter or early spring before the leaves return. The flower clusters can appear red, orange, yellow, or green in color. Fruit: The fruit produced by maple leaves are seeds called samaras, which are a type of seed that has a fibrous tissue that extends from the seed and acts like a wing. When the samaras fall from the tree, the wing causes it to spin through the air and allows the wind to carry it a great distance. Samaras are commonly referred to as helicopters because of the whirling motion they make when they fall. Bark: The texture of the bark varies between maple species as some have smooth bark while others have furrows or scales in the bark. The one common characteristic of the bark of maple trees is the grayish color. Most maple species also have small trunks. 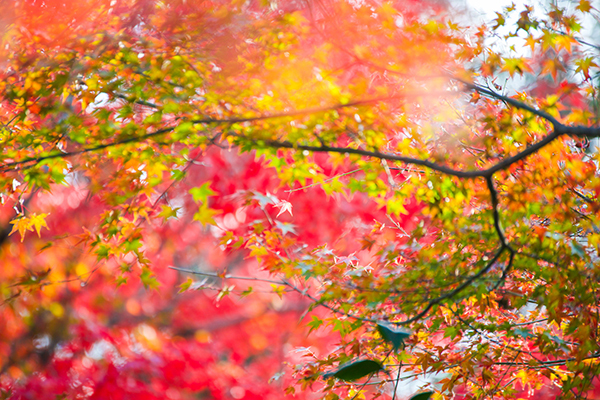 There are around 128 different maple tree species and most of these trees are native to Asia. It is unclear how many maple species are native to the Chicago region, but there are at least a handful that are native to the area and commonly found in yards and landscapes. Red Maple: The red maple (Acer rubrum) is very common in parks and wooded areas as well as residential and commercial properties. It is named for the reddish color of its seeds, twigs, and flowers as well as the fall colors of its leaves. Red maples have dense and expansive root systems so these trees must be planted in an area where they have plenty of room to grow without inhibiting other plant life. Sugar Maple: Sugar maples (Acer saccharum) are the most popular type of maple tree with the recognizable five lobed leaves and sweet sap that is used to make maple syrup. The leaves of the sugar maple can turn several different colors in the fall from yellowish green to orange to red and even burgundy, and it is common for these trees to have leaves of all these different colors at the same time. It is possible for sugar maples to live up to 400 years. Silver Maple: The silver maple (Acer saccharinum) is not only the most commonly found maple tree in the U.S., but also one of the most common trees in the U.S. The leaves of the silver maple have five distinctive lobes with angular notches and well-defined veins. Silver maples are tolerant of wet areas which is why they grow near bodies of water, and they are also tolerable to urban conditions making them a popular ornamental tree in the city. Freeman’s Maple: The Freeman’s maple tree (Acer freemanii) is a hybrid of the red and silver maple tree. These trees grow quickly like the silver maple but have the strong branches and reddish orange fall colors of the red maple. These hybrids are also very hardy and more resistant to diseases like chlorosis than other maple trees. Box Elder Trees: Box elder trees (Acer negundo) are a native maple species that is highly tolerant of cold Midwest weather. These trees differ slightly from most maple tree species as they are dioecious with male and female flowers appearing on the same tree, and they have compound leaves that look much different than the lobed leaves associated with maple trees. Box elders are also aggressive with their seeding so other box elder trees may appear naturally in the immediate area. Chlorosis: Chlorosis is not exactly a disease as much as a condition that is caused when maple trees have insufficient nutrition. The leaves of affected trees will appear pale green or yellow because they cannot produce enough chlorophyll to have their healthy green color. This condition can eventually kill the tree unless the chlorophyll insufficiency is reversed. There are many common causes of chlorosis, including mineral deficiency in the soil. Verticillium Wilt: This disease, also known as maple wilt, is caused by a fungus that first attacks the root system and then spreads up the tree. Verticillium wilt can result in cankers as well as dieback of the leaves and branches and it can kill even well-established trees. Maple trees affected by this disease have leaves that appear scorched and they may also have noticeable streaks in the sapwood. Minor cases can be treated by pruning the affected branches, but severe cases require professional treatment. Anthracnose: Anthracnose is caused by airborne fungus and it commonly occurs after a wet spring. This disease causes purplish-brown spots to appear on the leaves that can result in defoliation. Affected trees may also develop cankers on the trunk and branches which can kill the branches and stunt the tree’s growth. Anthracnose can be prevented with fungicide treatments and cases of this disease are best treated by professionals. Tar Spot: Tar spot is another fungal disease that causes large black spots that resemble tar to appear on the leaves of affected maple trees. This disease is mostly cosmetic and does not cause too much damage to the tree other than discoloration of the leaves. It is not recommended to treat maples for tar spot but raking and removing fallen leaves in the fall can help reduce the risk. Sapstreak: This disease is a fungal disease that is specific to sugar maples. Trees affected by sapstreak generally experience discoloration of the sapwood, dwarfing and defoliation. The disease gets its name from the radiating patterns of streaks it leaves in the sapwood. Sapstreak is fatal and the only way to treat it is to remove the tree. Asian Longhorned Beetle: This invasive species is a major threat to maple trees, as well as many other types of trees in the Chicago area. Asian longhorned beetles are black with white spots and they chew holes in the bark of a tree to lay their eggs within the bark. When the larvae hatch, they feed on the sapwood which inhibits the tree from transporting water and nutrients. When the larvae become adults, they chew a hole in the bark to exit the tree. Trees affected by these beetles may die within 1-2 years and they must to be destroyed and removed. The most obvious sign of an Asian longhorned beetle infestation is the dime sized holes it leaves in the bark. Ambrosia Beetles: There are two different species of ambrosia beetles that are a threat to maple trees, both of which are invasive species. Ambrosia beetles inject a fungus into the tissue of the tree trunk that feeds their larvae and it is this fungus that actually causes the tree harm. This fungus is toxic to maple trees and will kill them slowly from within. The biggest indicator of an ambrosia beetle infestation is the frass twigs that stick out from the holes created by the beetles. Trees affected by this beetle must be treated by professionals. Maple Shoot Borer: Maple shoot borers are winged insects that are gray in color and their larvae develop in the shoots of the tree. The leaves of the affected shoots become wilted and the shoots will die, causing new shoots to grow in their place. The new growth is at risk of growing forked and will need to be pruned. Leaf Eating Caterpillars: There are several different types of caterpillars known to feed on the leaves of maple trees during the summer and fall. These caterpillars can cause damage to the leaves and defoliation, but they are not a threat to kill the tree unless they appear in large numbers. Mites: Various types of mites can cause unsightly galls to appear on the leaves of maple trees. These galls may appear as white or pink patches on the leaves and they each contain one larva that eventually leave the galls. Planting: Most maple trees do best in soil that is more acidic and in areas where they receive full to partial sunlight. Their preference for well drained or wet soil will depend on the species, but they mostly prefer well-drained soil as most species have a tolerance to drought-like conditions. Make sure you give maple trees plenty of room when planting them so they can grow to their full height and the root system has room to expand. Watering: Maple trees should be watered slowly and deeply right after they have been planted. Most maples do not require regular watering unless they start to show symptoms of being affected by drought-like conditions. In this situation, maples need to be watered deeply to ensure that the water reaches the large root system. Red maples in particular may need regular watering if the soil does not stay moist. Mulching: A 2-3 inch layer of mulch is recommended around the base of maple trees to help retain moisture for the root system. Fertilization: It is best to fertilize maple trees in the spring, though it is not necessary to fertilize them every year. New maple trees should not be fertilized until their second spring. Use a general purpose fertilizer and spread it evenly over the area surrounding the tree to get the entire root system. You should only apply additional fertilizer if the maple shows signs of malnutrition such as pale or discolored leaves. Pruning: It is best to prune maple trees in the middle of the summer because pruning them in the spring will cause them to lose sap. Pruning in the fall can be harmful as well because the wounds will not heal before the winter sets in. If you do not want to prune your maple trees yourself, an expert like Hendricksen Tree Care can provide professional tree pruning. 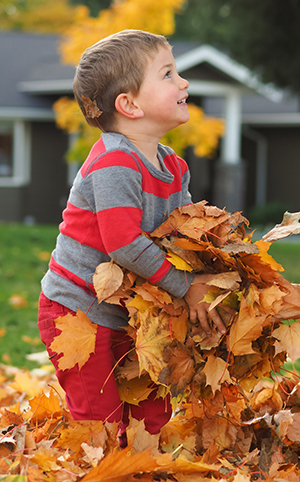 A pile of freshly raked Maple Tree leaves is irresistible to children! Native maple trees are a common sight throughout the Chicago area from the yards and forested areas of the suburbs to the parks and streets of the city. They are among the most recognizable trees in the area and they have stunning natural beauty, especially in the fall when the leaves change colors. The best way to ensure the natural beauty and full life of your maple trees is to make sure they receive the proper care. At Hendricksen Tree Care, our professionals are ready to provide tree care, maintenance and treatment services for maple trees throughout Chicagoland to keep them healthy and vibrant. Our ISA certified arborists can provide beneficial maintenance including tree pruning and fertilization and we can also diagnose and treat trees affected by disease or insect infestations. You can call Hendricksen Tree Care to provide tree care and maintenance services for the north side of Chicago as well as the north and northwest Chicago suburbs including Arlington Heights, Northbrook, Winnetka, Lake Forest, Barrington, Mount Prospect, and Palatine. Stay tune for the next installment of our series about the native trees of Chicago.